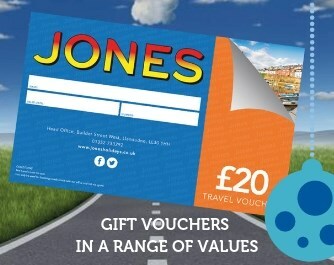 Our vouchers allow you to give the gift of travel and memories to someone special. With a wide variety of tours to choose from in the UK and Europe, it's the perfect gift for travel lovers. Valid for 12 months from purchase date our vouchers come in a range of values, from £10 to £100. To purchase your vouchers online, click here, amend the number of passengers to 1 and click BOOK NOW and then click NEXT to create an account, you will then enter our secure payment mini site. All you need to do then is follow the instructions on screen. Your vouchers will be verified and sent to you by first class post. Or you can call us on 01352 733292, or pop into our Travel Shop in Flint.